This calm song is built around a repetitive acoustic guitar lick and numerous vocal melodies all playing off of each other. It is not as complex as it sounds. Beck takes a couple of vocals, while friend Sam Jayne sings the main "forcefield" chorus a few times. It is a popular song, and a video was even made for it, and many years later the song actually returned to the setlist a few times on the Midnite Vultures tour. Lyrically, it's a bit bizarre. A "forcefield" itself is an intriguing word and image; it feels like it has a lot of meaning, but is hardly specific. There's even a little wordplay in the chorus' "stands / stance" combination. Beck's verses describe chaos ("look at the people driving backwards / in no particular style" and "Don't let it get near you / Don't let it get too close"), which stand in contrast with the numbing effect of the forcefield around your neck. As Beck said before performing it on October 3, 2000, however, "Forcefield" doesn't really have any stories behind it. They just were in the basement of the studio up in Olympia, Washington and made it up. That spontaneity and freshness is the highlight of the recording (and the whole album, actually). As far as we know, "Forcefield" was never played in the early years, and did not show up until the summer of 2000. 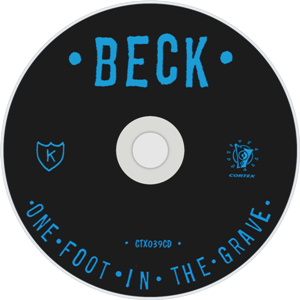 For a low-key appearance at the This Ain't No Picnic Festival in July 2000, Beck and band cooked up some reworkings of a few oldies. They played some things that had been rarely played live (if ever). One of the most successful of the new interpretations was "Forcefield," which kicked off the show. This new arrangement of "Forcefield" is quite interesting. A lengthy acoustic guitar intro leads into Beck's whispery vocals. He sings the "forcefield" chorus first, in place of the "stand outside my suitcase" verse. Then he does the rest of his vocals on the record. Most of the song is just done over his acoustic guitar, but at the end Roger and Justin sing the "don't let it get near you" part as Beck does the "forcefield" chorus. Some percussion joins the song for the end (i.e., shakers), and David Ralicke even adds a few flute licks! The September 30 2000, performance of the song is similar to the This Ain't No Picnic one, though a bit dreamier and much shorter. Jon Brion added some atmospheric guitar cries, and the whispering vocals added an eerie touch. From July - October 2000, as the Vultures wound down, is when "Forcefield" was played on occasion (9 times). Then later in the summer of 2001, "Forcefield" was played at about half of the shows. The band really focused on quiet, spooky atmospherics, set by electric guitar, purred vocals, and pulsing percussion. They did it nine more times in a 2-3 week span. It was then promptly dropped and has not been played since.